On Friday, Hedgeye colleague and Potomac Research Group Senior Energy analyst Joe McMonigle wrote, "We believe there is no chance Saudi Arabia reverses its position and agrees to freeze production on Sunday," after Iran announced it would skip the much-hyped oil "freeze" meeting in Doha. That proved prescient. 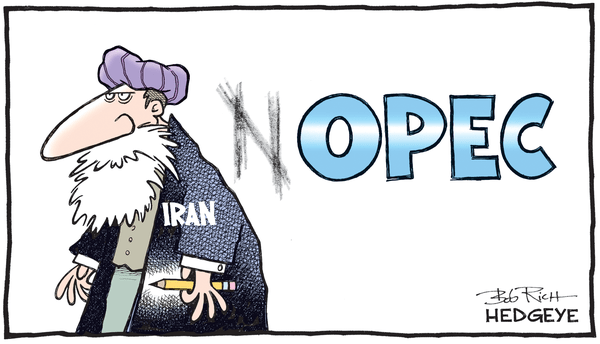 Over the weekend, OPEC members, including Saudi Arabia, and non-OPEC countries, like Russia, failed to reach an agreement to freeze oil production.